I may be a bit cheesy but I love Valentine puns! 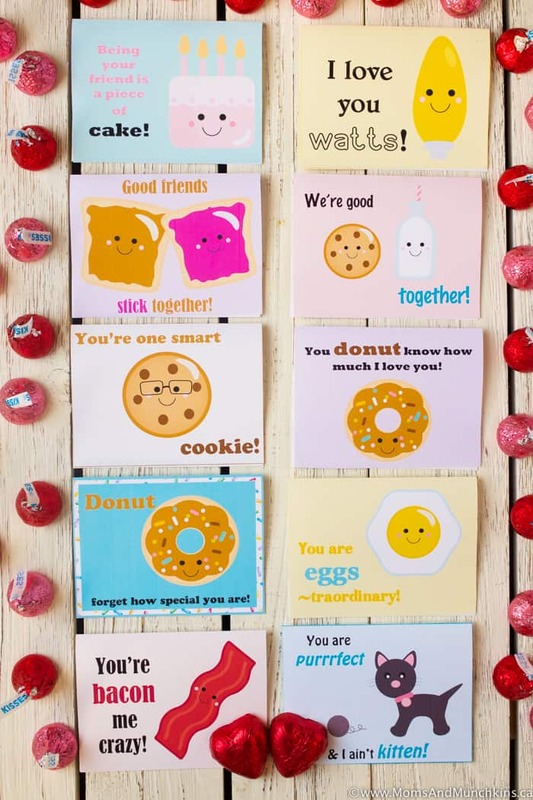 If you do too then you’re in luck because we have some FREE printable punny Valentine’s Day cards plus creative candy ideas to match each card. We have some that would be great as classroom treats for kids and some that could be a silly treat for a spouse. “Love Moo” with black & white jelly beans. “Hugs & Kisses” with Hershey’s hugs & kisses chocolates. 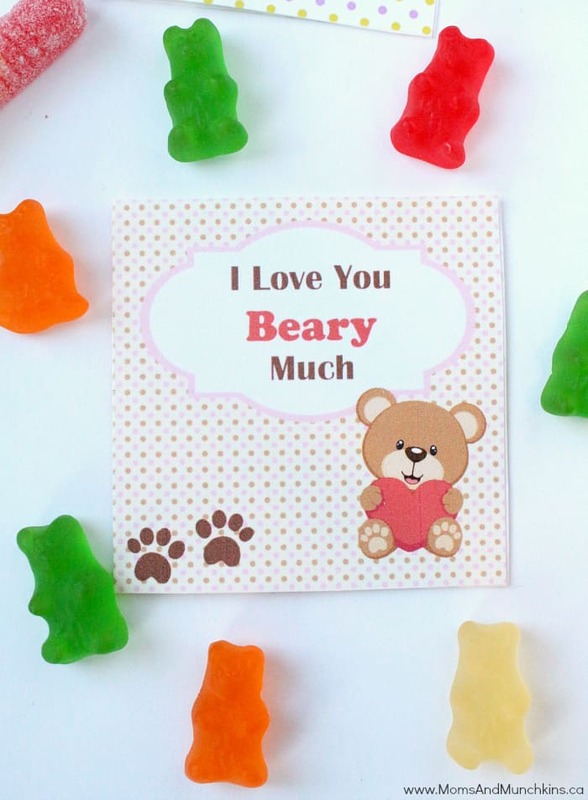 “I Love You Beary Much” with gummi bears. “Bee Mine” with yellow & black jelly beans. 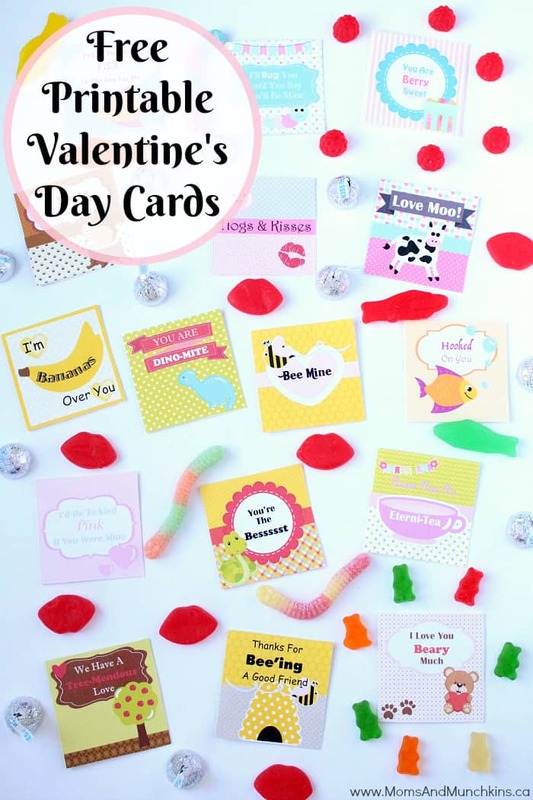 “I’ll bug you until you say you’ll be mine” with gummy bugs or red & black jelly beans (ladybug). 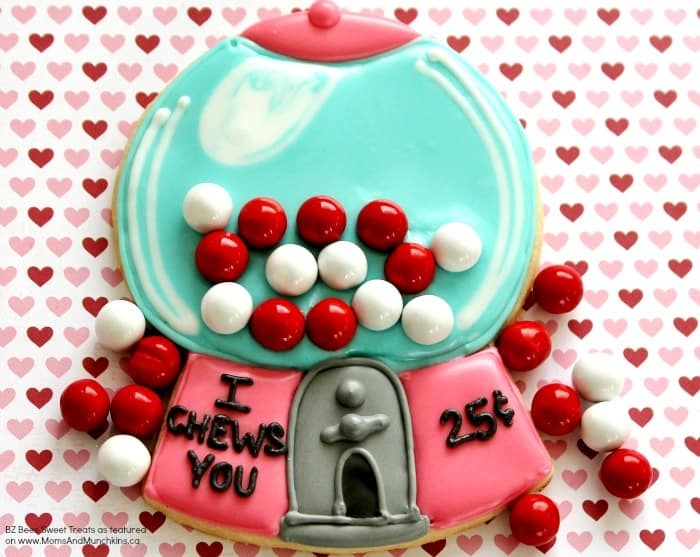 “I Chews You” with gumballs. “I’m bananas over you” with marshmallow bananas. 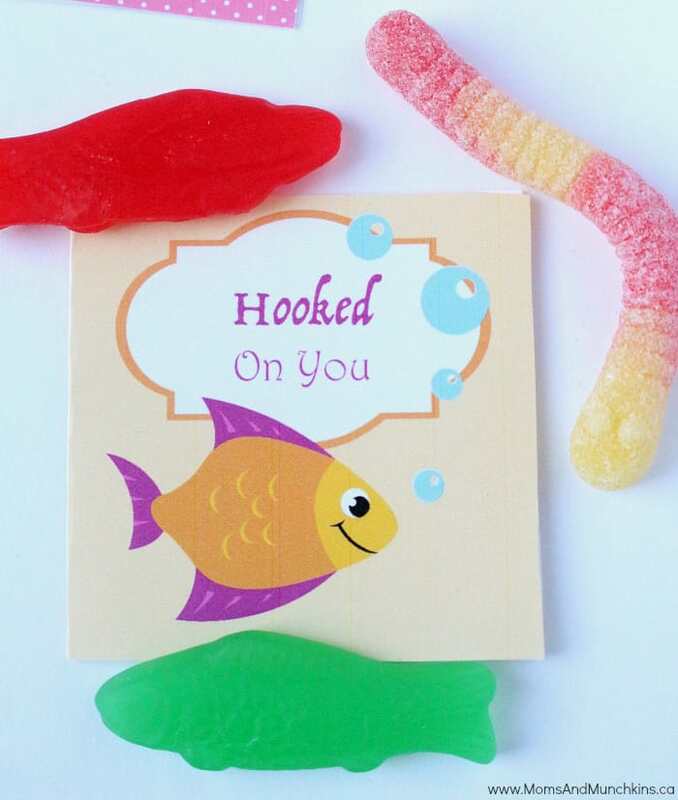 “Hooked on you” with gummy fish. “We are mint to be together” with mints. “I’m nuts about you” with trail mix. “You rock my world” with chocolate pebbles. “You’re the only fish in the sea for me” with candy fish or gummy fish. “Love you to eterni-tea” with tea. “We have a tree-mendous love” with spearmint leaves. “I’d be tickled pink if you were mine” with pink jelly beans. “You are dino-mite” with dino-sours. “Here’s to building a great friendship” with candy building blocks. “Orange you amazing” with candy orange slices. 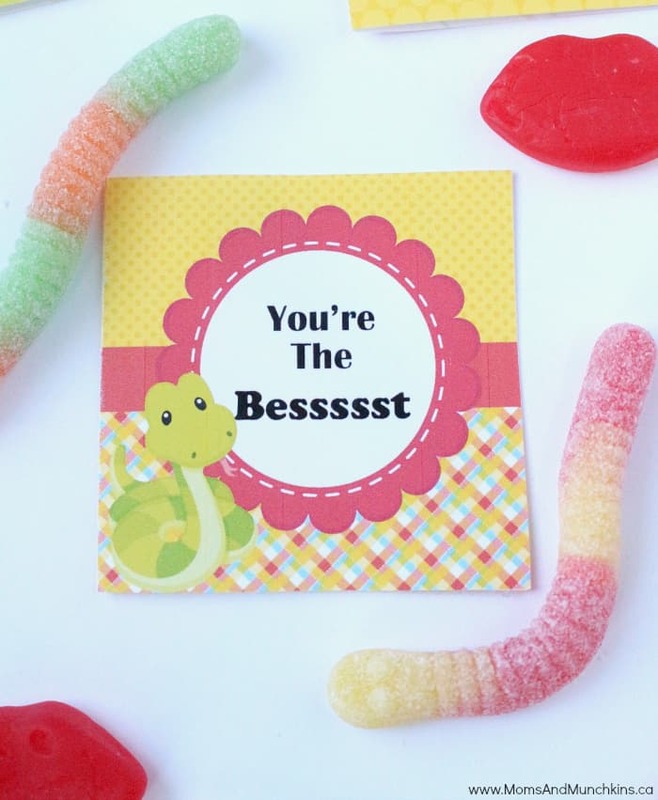 “You’re the besssssst” with gummy snakes. “You are grrrrreat!” with black and orange jelly beans (tiger). “You’re a peach” with peach candies. 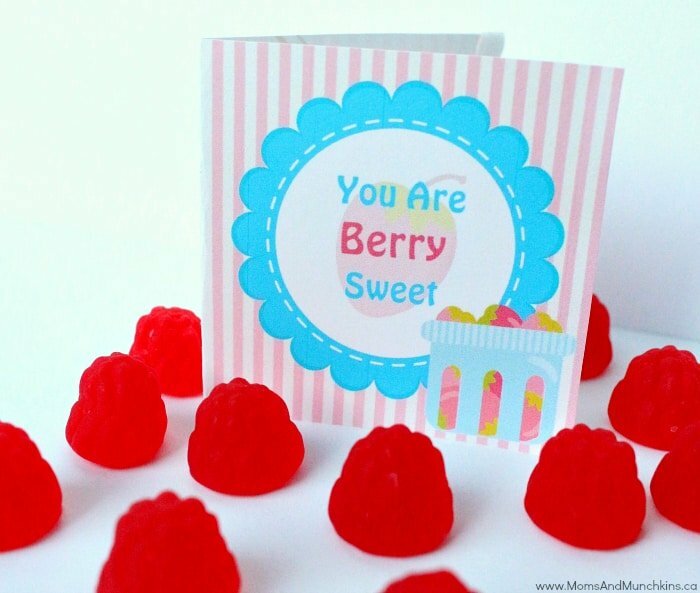 “You are berry sweet” with berry gummies. “Thanks for bee’ing a good friend” with yellow and black jelly beans. We now have Punny Valentines: Part Two! Head over to print those freebies too! Do you have any other Valentine puns? I’d love to hear them! 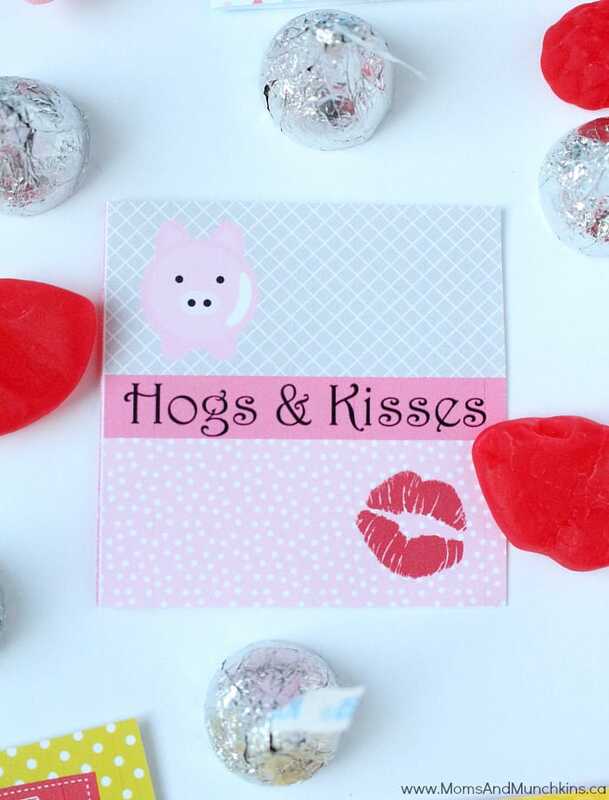 Don’t miss our Valentine’s Day page for more free printables, Valentine’s Day treat ideas, party ideas and more. You’re going to love this I Chews You cookie decorating tutorial by Amy. Stay updated on the latest ideas for recipes, family fun & parties by following us on Pinterest, Facebook, Twitter and Instagram. Such a cute idea. I think kids would love these. Such a cute idea. Kids would love giving and receiving these. Very interesting. Lots of content and a great layout. Thanks for the visit – glad you liked it! I don’t have a pun, but I love your idea – so cute! I like to think I’m a really punny person but my husband just rolls his eyes.